David L. Goldblatt brings a wealth of experience to his clients in legislative advocacy and real estate development. For his clients, Mr. Goldblatt provides access to governmental officials and guidance on how to traverse government agencies and programs. He regularly provides advice and counsel to clients on a vast range of local legal, legislative and policy issues. 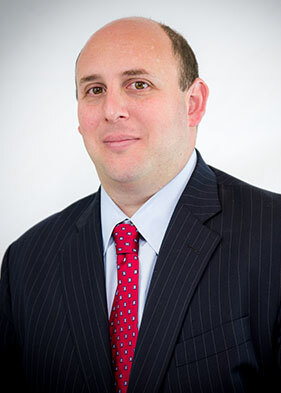 Mr. Goldblatt has drafted numerous legislative and regulatory initiatives that have been enacted or adopted by the District of Columbia on a variety of subjects. Mr. Goldblatt has a keen understanding of D.C. economic development programs and initiatives, including tax increment financing, business improvement districts, surplus property dispositions, real property tax exemptions, payment in lieu of taxes and industrial revenue bonds. He played a central role in legislation that spurred the economic revitalization of Washington, D.C.
Mr. Goldblatt also has vast knowledge of real estate related issues including public financing and public-private partnerships. Prior to joining Goldblatt Martin Pozen LLP, Mr. Goldblatt was the founder of The Goldblatt Group PLLC, a law firm in Washington, D.C. Before that, he was an attorney at Arnold & Porter LLP, where he was a member of the real estate practice group and supported their work by providing District of Columbia public policy and legislative affairs expertise. Before Arnold & Porter, Mr. Goldblatt was counsel to the District of Columbia Council’s Committee on Economic Development. In that role, he was closely involved in every economic development initiative in D.C. He worked on multiple D.C., budget battles, overseeing the work of many governmental agencies, including the National Capital Revitalization Corporation, Department of Housing and Community Development, Housing Finance Agency, Sports and Entertainment Commission, Washington Convention Center Authority and the Office of the Deputy Mayor for Planning and Economic Development.